Omigoodness, y'all! Ever had the feeling you already told someone something important, but then... oops! you actually forgot? I thought this was just limited to my personal life, as I continually forget to give phone messages or tell the specific time I'm going to meet someone. 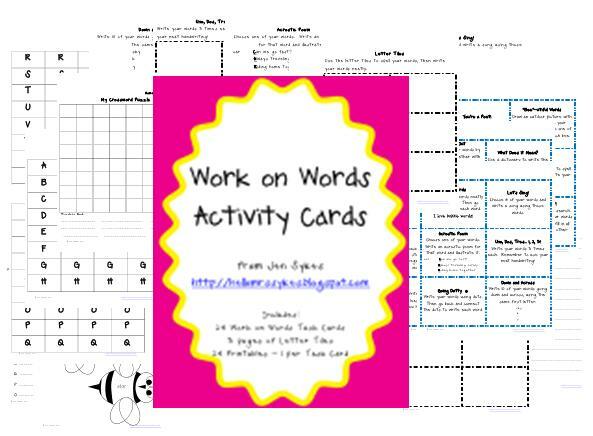 Here's my newest activity packet: Work on Words Activity Cards and Printables. This set is perfect for 1st/2nd grade and easily adaptable for K and 3rd. 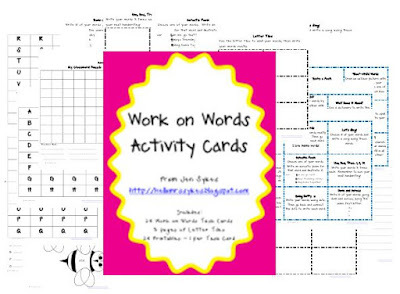 All of these activities work with any word lists. You decide if students use: word wall words, spelling lists, seasonal words, or even vocabulary lists for math, science or any academic area. 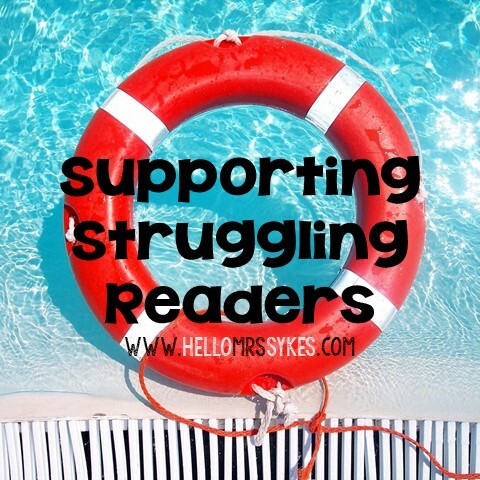 Just print and cut apart - you're ready!